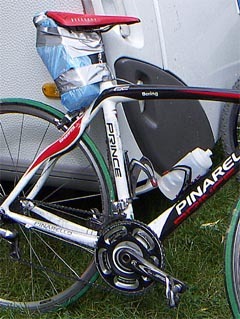 I thought it would be helpful to make a list with the most helpful links to help you improve your cycling performance. I’ll continue to add more links to products that I use and recommend in the future. Cycling Training for Beginners – Introduction to basic training principles. Road Cycling Technique – 3 No-Cost Tips to Improve Your Road Cycling Technique. Age is No Barrier to Cycling Training – Getting older – it happens to us all. The Ultimate Guide to Time Trial Training – Comprehensive post about time trial training. How to Increase Threshold Power – Training tips to improve your endurance. Mountain Bike Training for Beginners – Getting started with mountain biking. How Much Time Does Extra Weight Cost on Alpe d´Huez? – Four repeated rides up Alpe d’Huez to figure out how important extra weight is. Time Effective Cycling Training = Success When I launched Time Effective Cycling Training after four years of blogging, I was curious to see how people would respond to it. I know that an e-book is different from a physical book, yet it offers some advantages that you don’t get from physical books (e.g. instant delivery and no shipping costs). The Sufferfest – The #1 place to download cycling training videos. My Youtube Channel – A couple of youtube videos with training tips. Time Effective Cycling Training – Don’t have enough time for training? 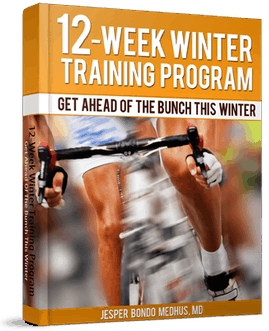 12-Week Winter Training Program – Perfect base training program. 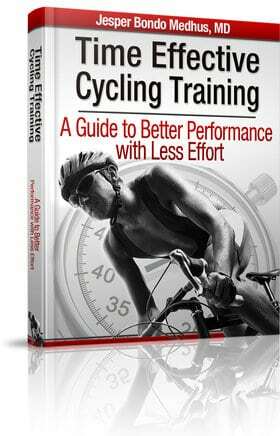 Popular Cycling Training Books – 10 of the most popular books about cycling training. Training and Racing with a Power Meter – Great book about power meter training. Racing Weight – How to Get Lean for Peak Performance – Excellent nutritional advice from Matt Fitzgerald. Cycling Training Programs – overview of published training programs on Training4cyclists. VO2 Max Booster Program – 14 days with VO2 Intervals every single day! The Ultimate VO2 Max Training Session – Highly effective VO2 max training session. Disclosure: Please note that some of the links above are affiliate links. If you decide to make a purchase, I will earn a commission. There are no additional costs to you. I recommend these stores, products and services because they help cyclists achieve their goals – not because of the small commission I make if you decide to buy something.